Now that we have come to the end of Jodie Whittaker’s first series as our titular hero, with the exception of the forthcoming New Year’s Day Special Resolution, there is one thing I would specifically like to touch upon that has divided fans, old and new alike. The lack of cliffhangers in Series 11. It came as a shock and disappointment to me when Chris Chibnall announced that, for Series 11, there were going to be no story arcs, no classic monsters (Daleks in particular), and, worst of all, no two-parters. Although I fully understand why they chose to make each episode “fresh” and “self-contained”, I very much disapprove of them having to dramatically shift away from the show’s well-loved traditions, the same as what happened with Series 7 during the lead-up to the 50th anniversary. 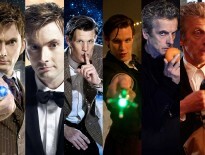 So why are cliffhangers significant and special to Doctor Who? Cliffhangers have been a tradition from the very beginning, keeping the viewers in suspense and giving added incentive for them to tune in next time. For starters, right at the end of the aired pilot episode An Unearthly Child, we see the mysterious silhouette staring at the TARDIS along the rocky horizon. That got the audience hooked, wondering where they have landed, until tuning in to watch The Cave of Skulls (anyone who caught the repeat of the first episode the following week wouldn’t have had to wait long to find out…). We can also apply this to the end of the serial’s fourth episode which leads directly into the first episode of The Daleks (The Dead Planet). There was only one cliffhanger in Series 11, The Woman Who Fell to Earth leading directly into The Ghost Monument in which the Doctor and her new “TARDIS team” end up floating in space; the latter episode incorporates a Classic era style recap, right after viewing the title sequence for the first time. Just like what happened during the First Doctor era, where one serial leads into the next, it is not often a New Series episode uses that storytelling technique (not counting strict multi-parters). One good example would include the ending of Smile with the Twelfth Doctor and Bill arriving in London 1814, where it leads directly into Thin Ice. In fact, you can draw a narrative line from The Pilot to Thin Ice. Chibnall’s writing on his award-winning serial crime drama Broadchurch (featuring David Tennant, Jodie Whittaker, David Bradley, and various Who stars), on the other hand, clearly demonstrates that he is able to flesh out the storylines and character development more thoroughly. Even though it’s a very different genre, there is still the serialised/arc-driven nature that applies to both shows he has written. Throughout the course of the series, we were treated to some of the most suspenseful, shocking, and dramatic cliffhangers which got the audience to exchange all sorts of fan theories, and come up with their own ‘whodunnits’ on social media. 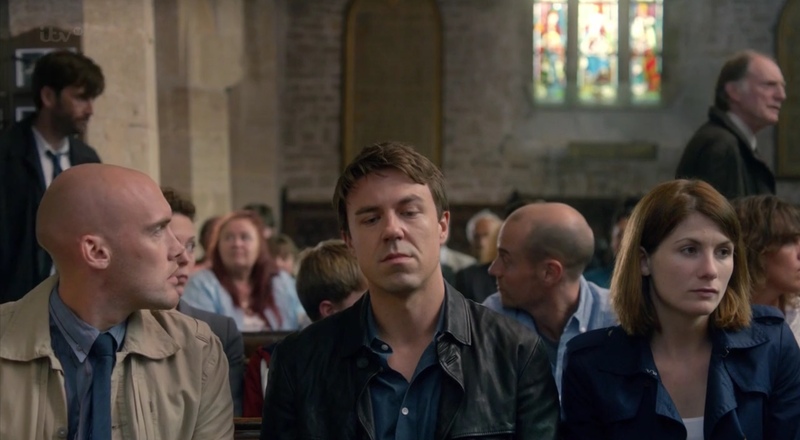 I really wish to provide an example of a Broadchurch cliffhanger, but I would rather let the audience find out themselves (in chronological order). I am not trying to have a go at Chris Chibnall. I am only expressing my views upon why I feel that the formatting didn’t work for Series 11. All writers and showrunners have their strengths and weaknesses, and that’s why they can always improve their methods of storytelling to deliver a stronger and grittier episode with a shocking cliffhanger. Keep in mind that Chibnall has written a two-parter for Series 5 where the Silurians returned in The Hungry Earth/Cold Blood, as well as penning a couple of minisodes for the first half of Series 7, despite the unfortunate omission of two-parters: the five-part prequel Pond Life and the unfilmed P.S.. So why didn’t they feature cliffhangers in the remainder of Series 11, especially for the finale, The Battle of Ranskoor Av Kolos which simply ended with the TARDIS departing? As the episode finished airing, I was rather disappointed: “Oh, so that’s it? No cliffhanger like some of the previous finales?” Despite Chibnall saying that he wanted to take a different approach by using elements from the Classic era, it still wasn’t enough to satisfy me as a lifelong fan. Considering that The Battle of Ranskoor Av Kolos was treated like a normal standalone episode, rather than a proper conclusion, I really hope Resolution will act as a true finale to Series 11 (and add a shocking cliffhanger at the very end), now that the Daleks are – finally – returning. I know this may sound controversial, but if Chibnall never wrote The Tsuranga Conundrum (one of my least favourite episodes) in the first place, that would have given him the chance to expand the finale into a two-part epic. Had that been the case, I feel that the scene where Tim Shaw (I rather call him that, instead of Tzim-Sha, because it’s too funny) initiates his attack on Earth would make a proper dramatic cliffhanger.